iROKOtv, the Africa-based movie platform for Nigerian movies (known colloquially as ‘Nollywood’) has closed a funding round of $8 million, led by existing investor Tiger Global, with further participation from Sweden-based Kinnevik. A new investor to this round is US-based Rise Capital. This brings the total raised to $21 million, which makes iROKOtv one of the best well-funded internet companies in Africa today. iROKOtv a Video-on-Demand (VOD) platform for African content which claims one million monthly users. The new capital will be used to flip the company’s audience from a primarily Diaspora base to an African base, as well as migrating from a largely ad-supported model to subscription service. 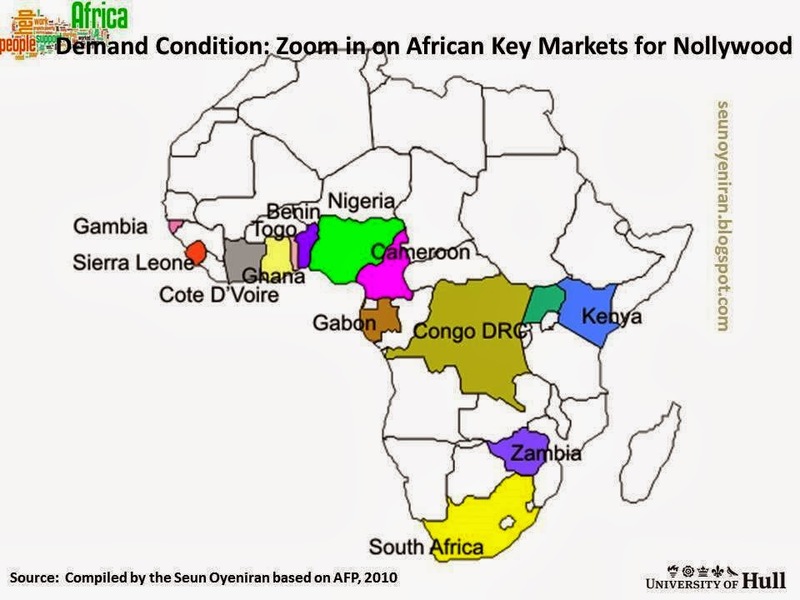 Obviously, the aim here is to become the Netflix for Africa. Currently, 50% of iROKOtv’s audience is located in the UK and US. 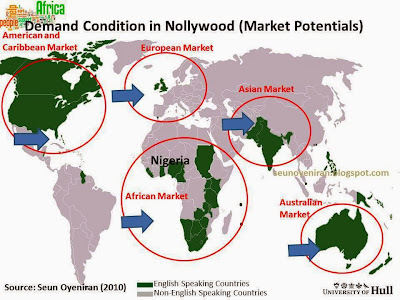 It’s important to mention that Nollywood will continue to grow in 2014 as both content quality and market penetration improves. 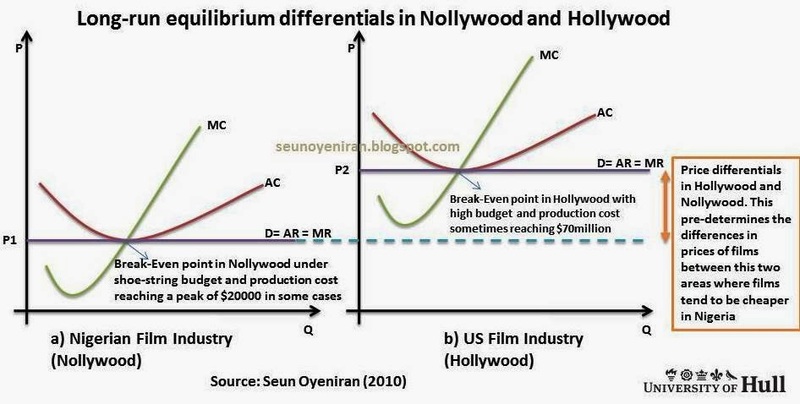 A long-run market equilibrium analysis of what makes Nollywood different from Hollywood; giving it a comparative/competitive advantage is shown below. Some of these include large small, medium sized enterprise with low factor input and cost leading to high output (when compared to western countries) yet sufficient to break-even. Nollywood’s popularity has spread throughout English-speaking Africa and has even gained traction in the African Diaspora of North America, Europe and the Caribbean (Olley, 2009). 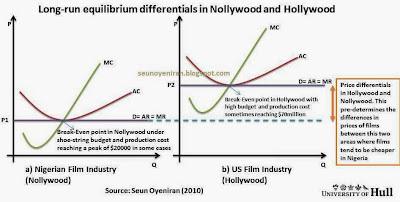 Increasing government support for Nollywood and industrial stimulus resulting from affordable digital filming and editing technology provide opportunity for real life “family-oriented-than-American-films” story lines of love, violence and HIV/AIDS that depicts the typical African struggle for livelihood amidst difficult economic condition brings the African Story to the world. Genres also usually include religion, the occult and rags-to-riches tales. It is expected that the industry will continue to build on this model and witness continued growth in 2014. Oh, can I talk about the booming Nigerian music industry? !